The Google Nexus Prime has pretty much been confirmed as a Verizon branded device with the carrier's Cellebrite system showing the model. The phone (as the Samsung Galaxy Nexus) also appears on Verizon's Device Manager and the mobile operator's recent MAP price list revealed a possible launch date and price for the handset. Now, a screenshot shows that the eagerly awaited smartphone (SCH-i515) has appeared on the Cellebrite system for Best Buy. 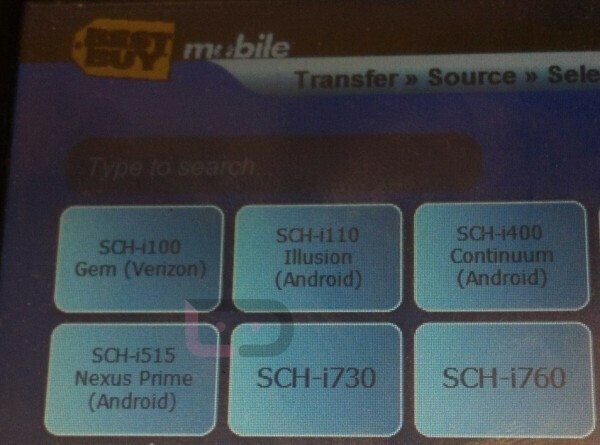 Sources for Droid-Life say that "Nexus Prime" is just a code name and that the retail name of the phone will be the Samsung Galaxy Nexus, the name that appears on Verizon's Device Manager.. But there is still the question of whether or not Verizon will have an exclusive period to offer the first Ice Cream Sandwich powered smartphone. There is even some speculation that Best Buy could end up with an exclusive on the phone, similar to how it offers the Google Nexus S for T-Mobile. To back up this claim, some have noticed how the Verizon name seems to be absent from the upcoming Ice Cream Sandwich and Google Nexus Prime announcement now set for October 18th in Hong Kong. Don't worry as we are just days away from getting all the answers we crave. With the Google-Samsung event now set for October 18th at 10pm on the U.S. east coast, by the time the clock chimes in the next day, we should have all the answers about this eagerly awaited device. GTFO. You're a retard with absolutely no contribution to this announcement. Just because Verizon has exclusivity in the US, doesn't mean that ICS won't come to other carriers around the world. It's just is common sense than another carrier will get ICS on the same day (for example in HK, where Verizon doesn't exist). I was concerned about the possibility of Best Buy exclusivity until the phone showed up in Verizon's MAP listing. Why would Verizon MAP a phone they aren't going to sell? Just people (you know who you are) trying to stir up trouble. I'm still concerned that with Verizon not calling it the Google Nexus Prime. Sounds like it'll be loaded up with Big Red bloatware. 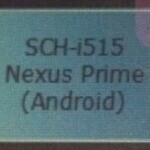 I thought Prime was just a fun name invented by the rumor mill and Galaxy Nexus was the real name. Until Google, Samsung and Verizon announce it, we may as well call it the Google Samsung Galaxy Nexus Droid Prime. I hope it also launches in India soon as am waitin 4 this android beast for the past 2 months........Hope its worth waiting.